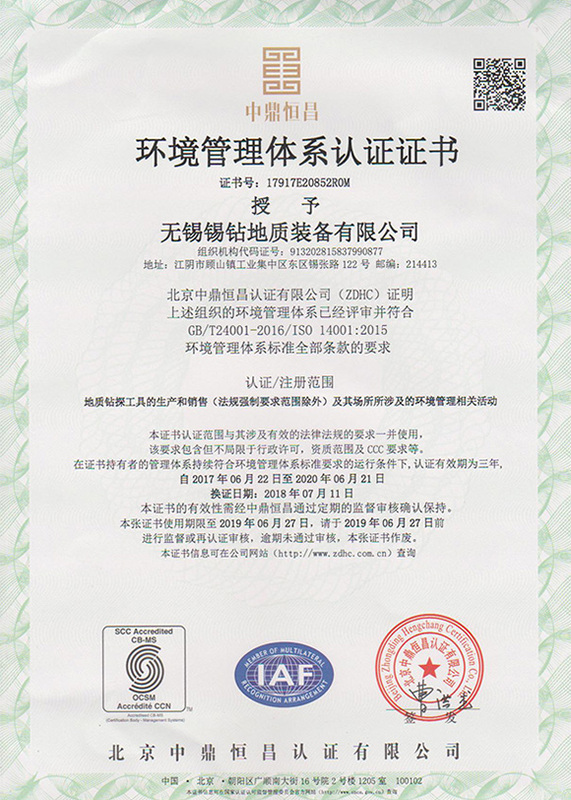 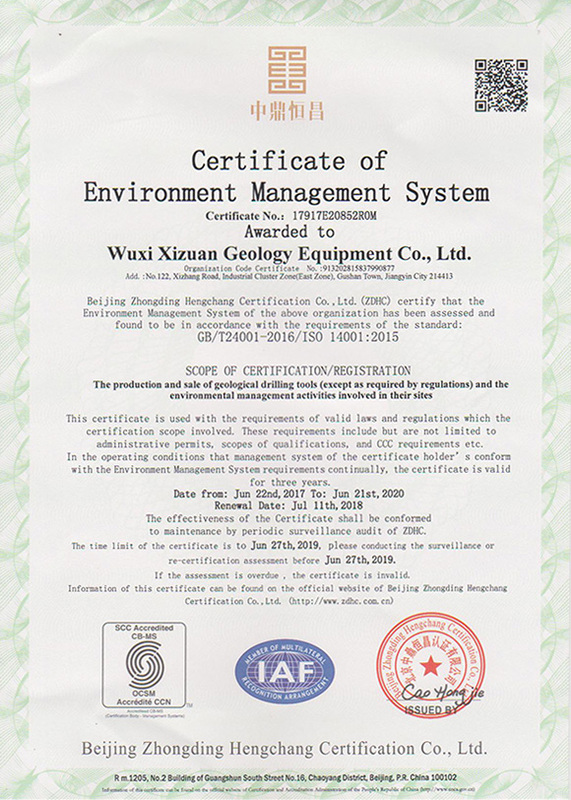 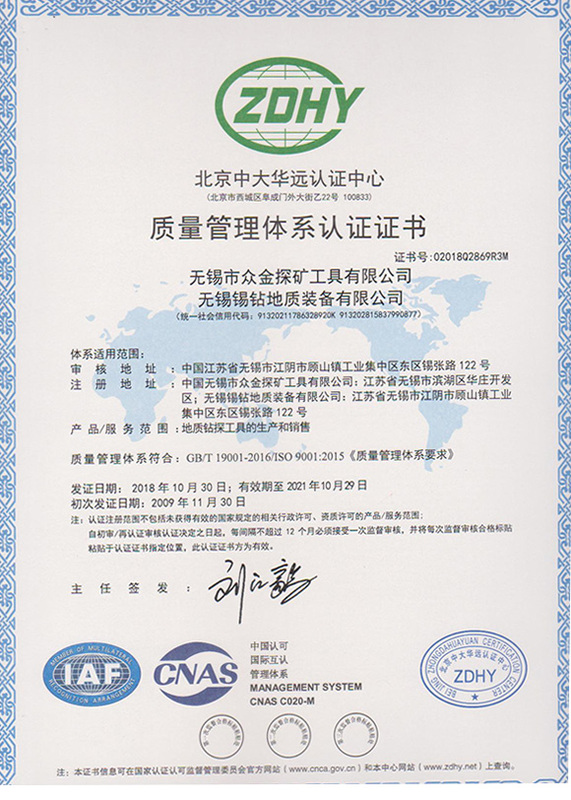 Wuxi Geological Drilling Equipment CO., LTD with the registered capital of 10 million, with the national GB/T19001-2008 / is9001:2000 2008 quality system certification and the rewords of quality products in jiangsu province,is one heavy contract and trustworthy enterprise which professional in production of geological exploration equipment and drilling tools.After years of unremitting efforts by our employees,now it is setting up a new company: Wuxi Geological Drilling Equipment co., LTD. 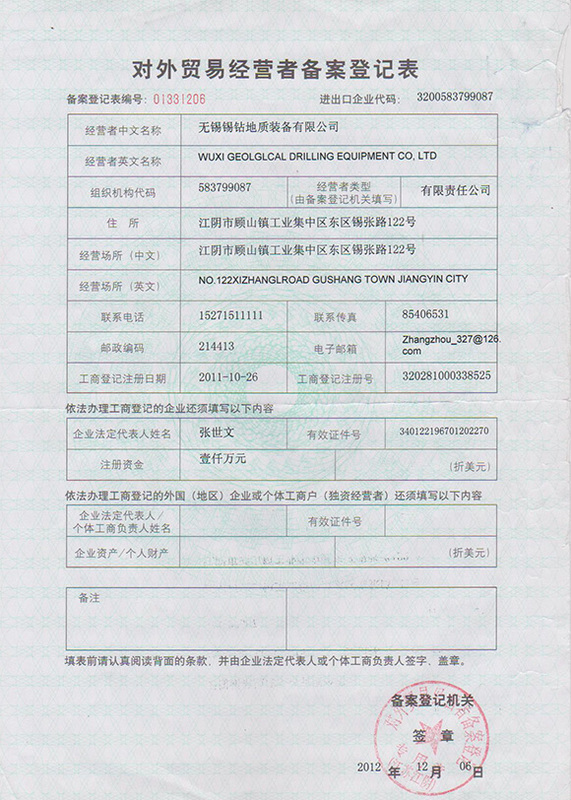 The original “Wuxi Zhongjin prospecting tools co., LTD” is also operating. 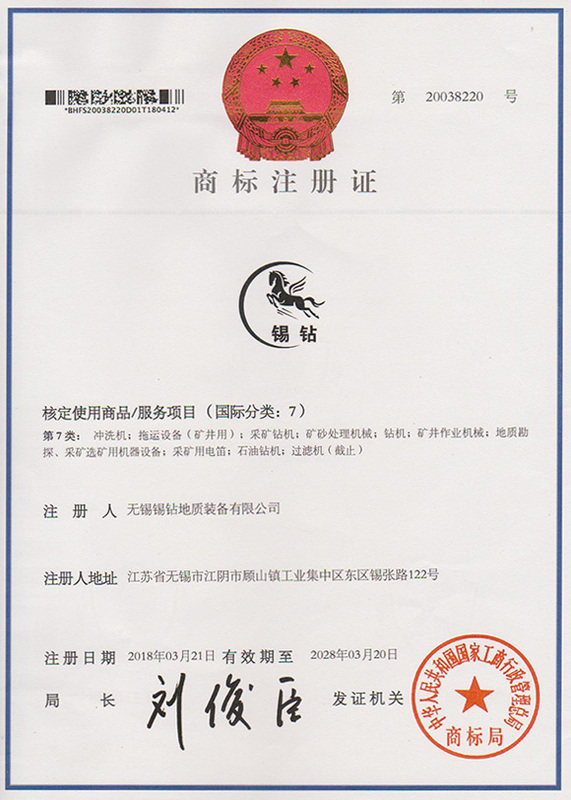 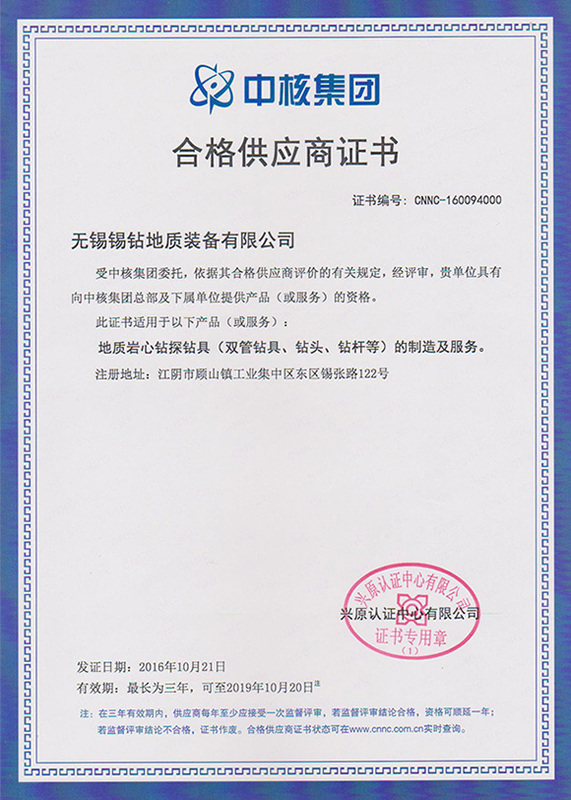 Since September 1, 2014, the original company officially moved to NO122 XizhangRoad,GushanTown,Jiangyin City. 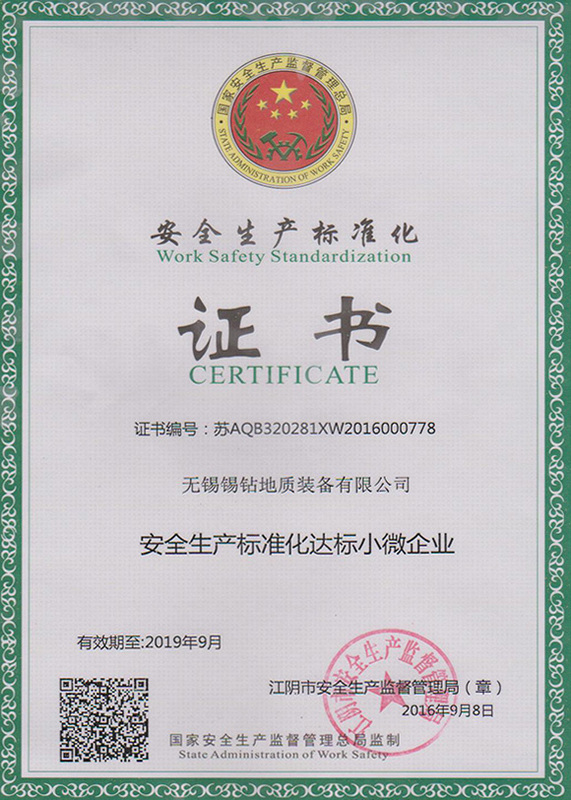 The new plant covers an area of 13300㎡, invested more than 3000 million Yuan, and fully adopted the automatic assembly production line to manufacture HDD drilling rods,ordinary drilling tools,Wireline drilling rod,”Q” series Wireline drill rod, a variety of diamond impregnated diamond core bits,surface natural diamond core bits Etc. 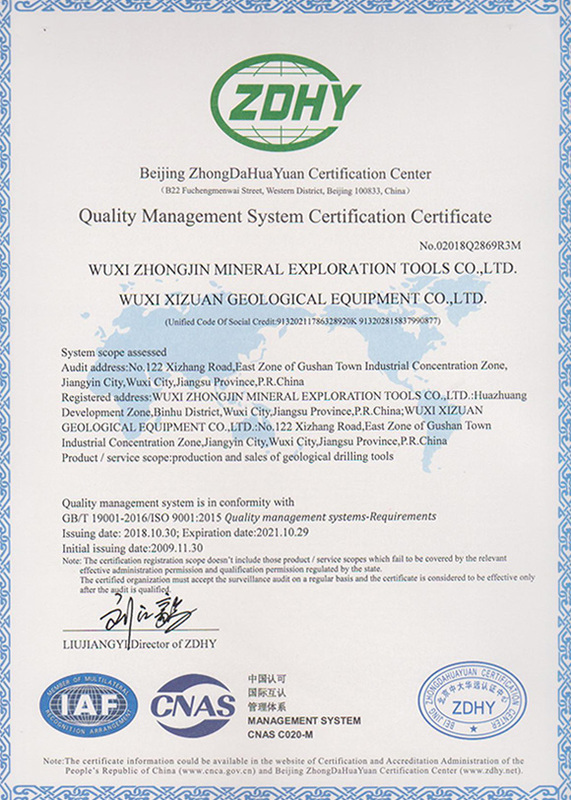 Our company is mainly engaged mainly engaged in the production of BQ/NQ/HQ/PQ wireline core barrel drilling tools,drill rod ,overshot assembly,diamond core bit,reaming shell,fullhydraulic core drilling rig and mud pump for clients both at home and abroad.With years of production management and technical strength,and equipped with advanced CNC lathes,machining centers,diamond drill bits and reaming NC sintering equipment,the company dedicated to create a “XIZUAN”brand for our quality products.Products are eported to Africa, Europe, centraland south Asia’s neighoring countries,the marketing coverage nationwide.We always think the quality is the company’s life,must be market-oriented,good faith to treat customers .In order to establish the corporate image,the quality product,our company adhere to the “quality first,service first”principle,management for efficiency,efforts to develop new products,reseay, efforts to develop new products, research new technology, improve product quality to meet higher market requirements and strive at the lowest cost to our customers, our company warmly welcome new and old customers to visit.